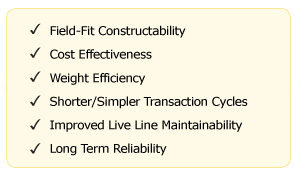 All the capabilities, capacity and experience you’re looking for. All in house. All in the Americas. 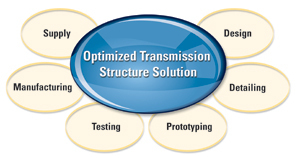 All of it integrated and ready to deliver your Optimized Transmission Structure Solution. KEC International is the world leader in power transmission. SAE Towers, the largest steel lattice tower producer in the Americas, is proud to be a vital part of KEC’s growing global business. KEC’s annual sales exceed $ 1 billion (US) and the company employs more than 4,200 people worldwide, including more than 100 design experts. Well known as a major infrastructure Engineering, Procurement and Construction (EPC) company, KEC has successfully executed projects in 45 countries. The production capacity of its three factories in India exceeds 174,000 tons. KEC also operates three world-class tower testing facilities in India, including its facility in Nagpur, which is capable of testing towers up to 1,200 kV making it the highest capacity tower testing station in the world.